Over two years you will have the opportunity to study and research a range of published plays, learning how to approach these from both a director’s and performer’s perspective. 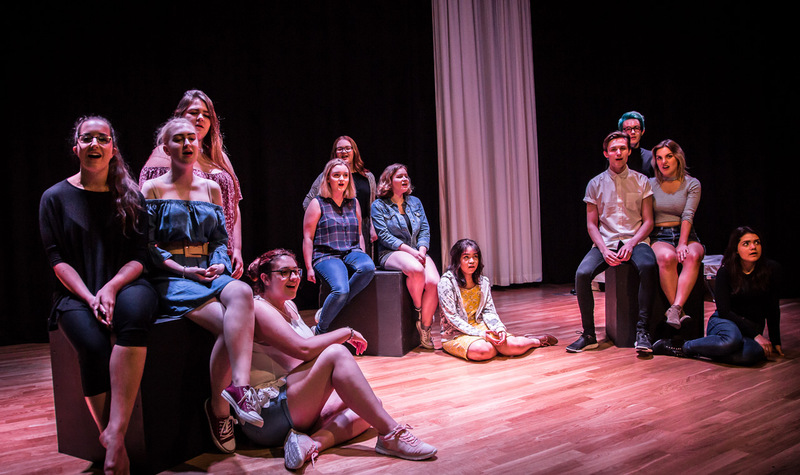 You will learn about acting skills and apply these in scripted and devised work, creating group performances in preparation for a practical performance exam. Regular visits to the theatre will be expected to draw inspiration for both your practical and written work. Component One includes the study of two set plays and the analysis and evaluation of the work of live theatre makers. Component Two involves creating and performing the devised drama. Component Three involves practical exploration and interpretation of three script extracts from different plays, one of which is performed as a final assessed piece. GCSE Grade 4 or above in Drama or equivalent performance-based qualification or experience. You will learn through discussions, independent research, group work, practical performance and audience feedback. Assessment is by a written paper for Component One, performance and working notebook for Component Two and a performance and written report for Component Three. A Level Drama and Theatre Studies will train you from both a practical performance and an academic point of view. 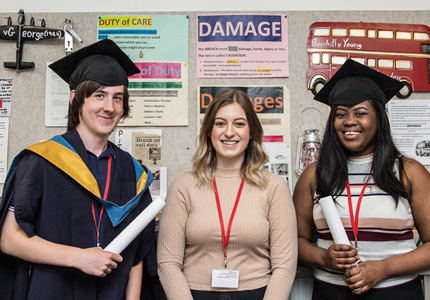 Students have gone on to study a range of different courses at university, including English, sociology, teaching and degree courses in drama or acting. Many students also enter the professional industry of performing arts. Jo has over 20 year’s teaching experience and studied a BA (Hons) degree in Dance and Drama at Bretton Hall followed by a PGCE from Sheffield Hallam University.